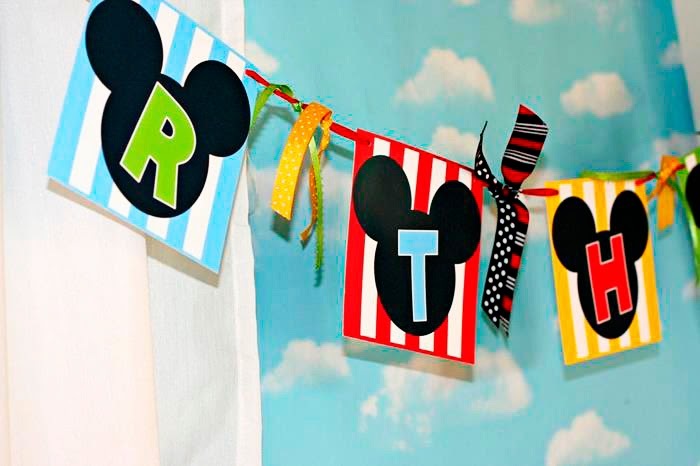 Jennifer Carver of Banner Events, one of my FAVORITE and truly talented party stylists, is here today with her own son's Mickey Mouse Party using our MICKEY MOUSE PARTY PRINTABLES SET. 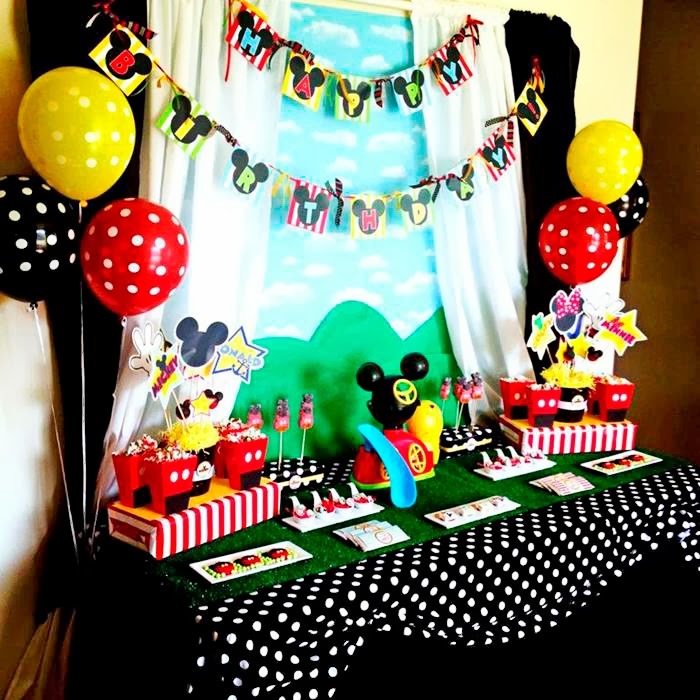 Busy with client parties, Jennifer only had two weeks to create this adorable party for her son, Max, who LOVES Mickey Mouse. 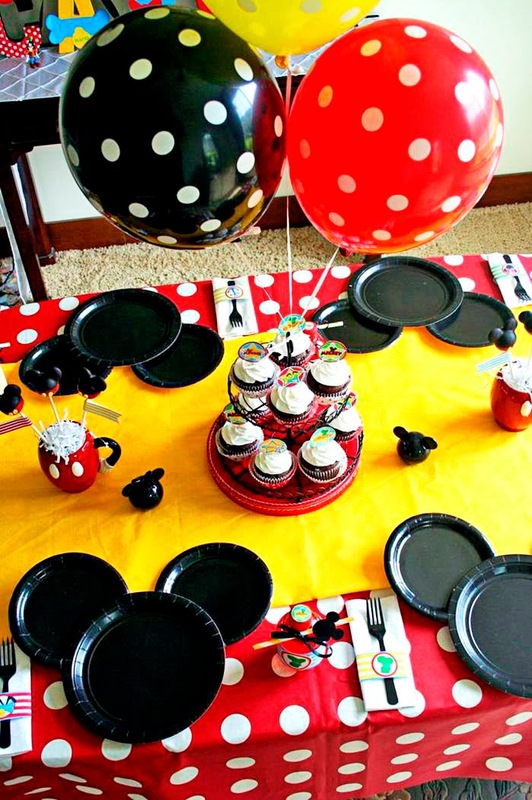 Jennifer says, "So how do you put together a last minute Mickey party? 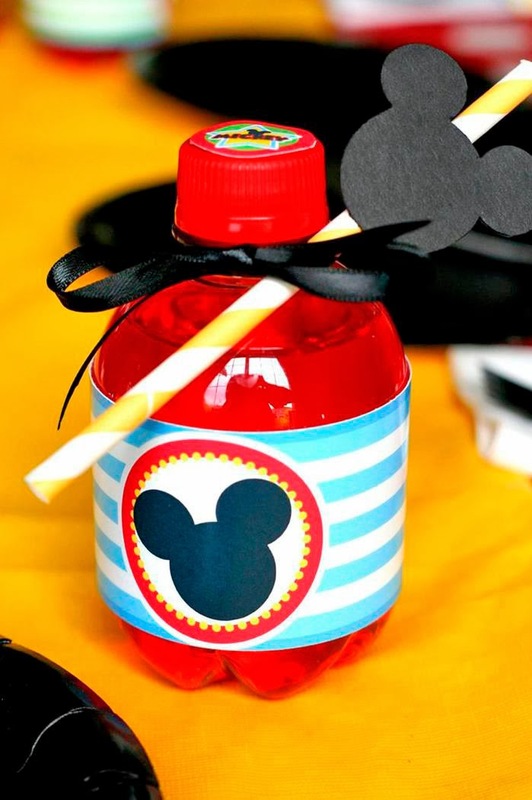 In my case, you pull out Mickey toys from your child’s toy box, leftover cloud and green butcher paper from your craft room, some tablecloths & fabric in the color scheme and raid your party goods stash!" 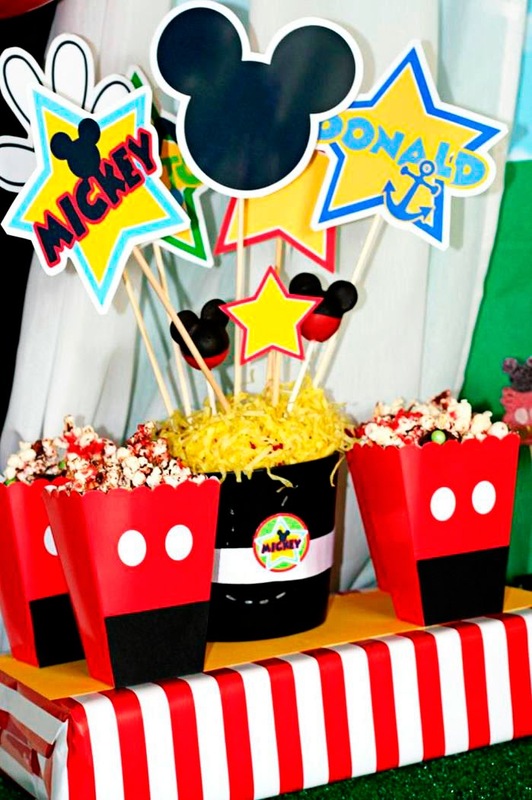 Jennifer tells us more about her party…. 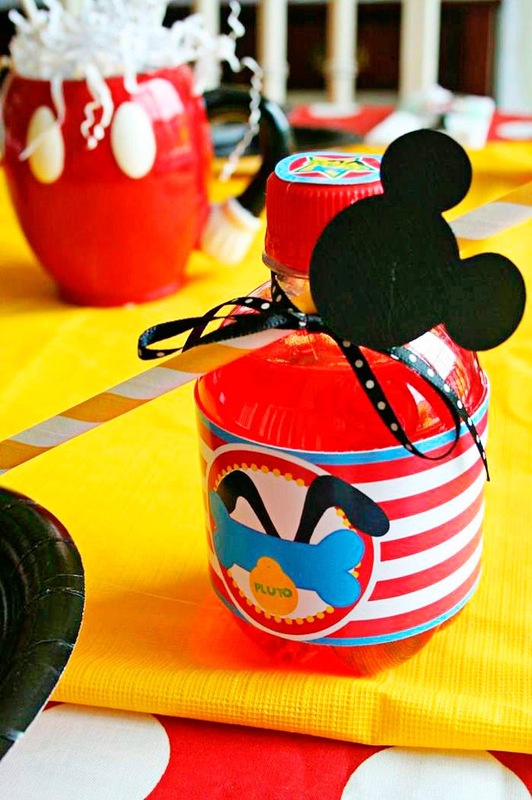 I wrapped a few empty boxes and Styrofoam in some fun striped wrapping paper and filled some pots with styrofoam and paper shred making cute centerpieces using the printables from Amanda’s Parties to Go that I had leftover from a previous party. 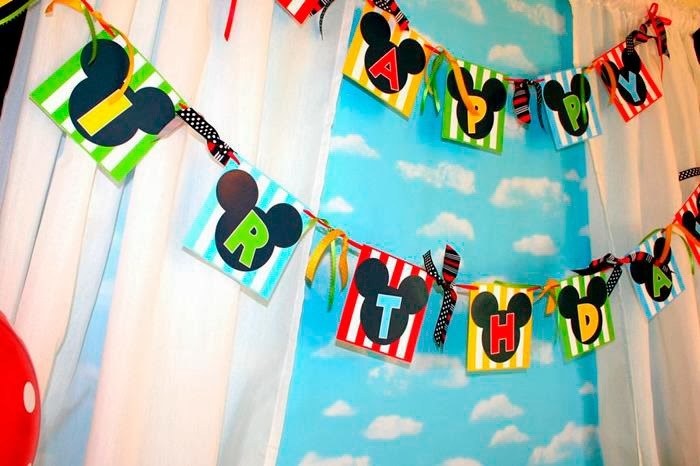 Other décor items included a colorful banner I printed and tied scrap ribbon to and some Mickey Mouse inspired letters of our last name I made after being inspired by one of Amanda’s Parties to Go's customers. 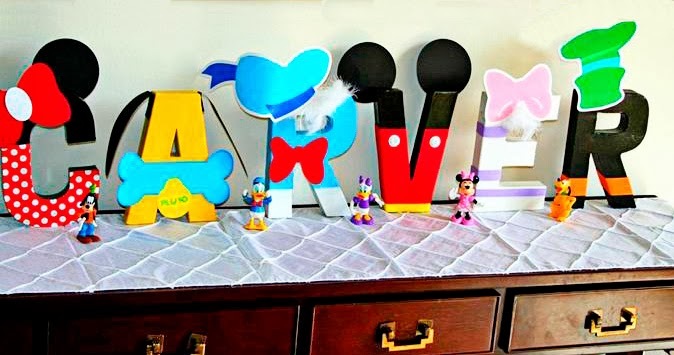 They are a fun DIY project using 3-D cardboard letters from JoAnns, some spray paint, various scrapbook paper & embellishments and the printables. 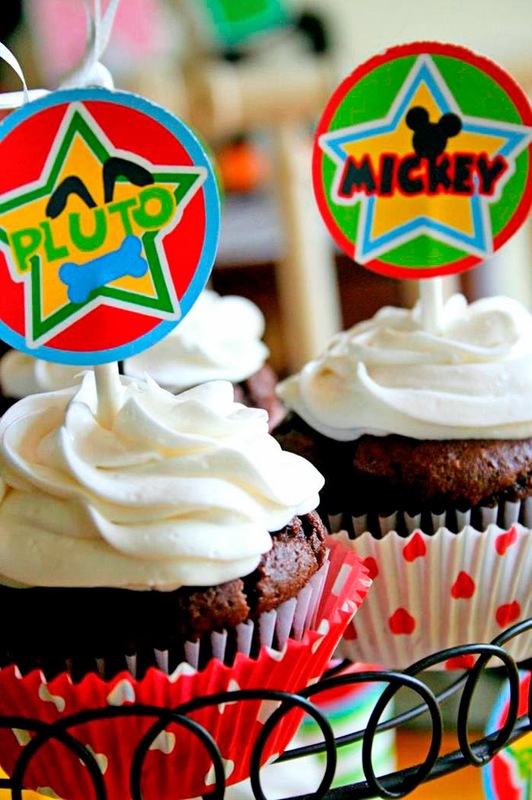 There was little time to custom bake treats, let alone order any. 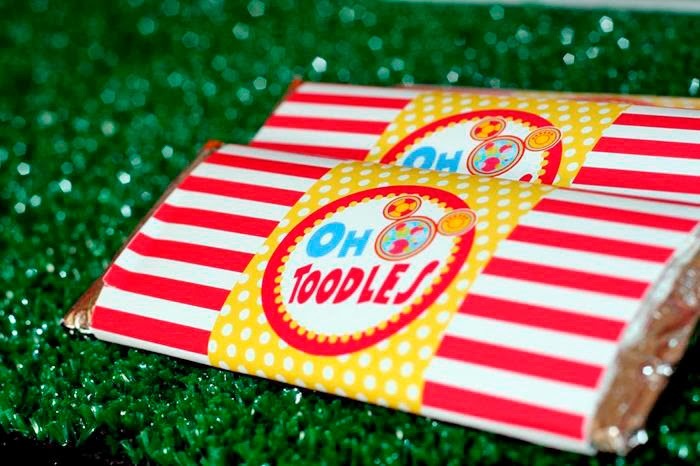 I am so grateful to two amazing businesses who saved the day! 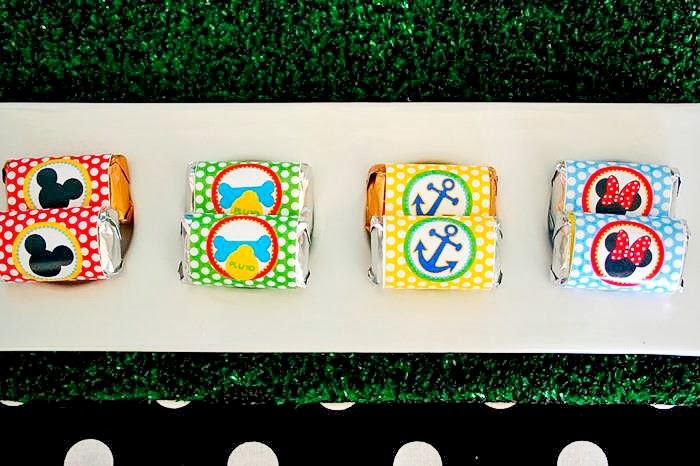 Bella’s Bakery & Bowtique (cake pops and Oreos) and Sweets from Heaven, Outlets at Orange (candy kabobs) sent custom treats to coordinate with our theme. 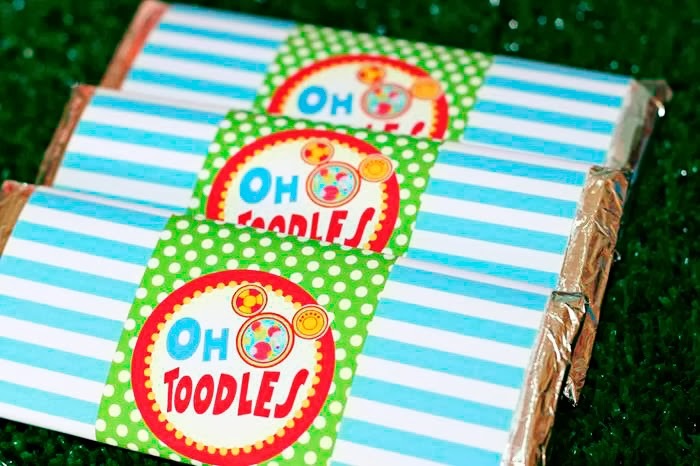 Candy bars were wrapped with darling “Oh Toodles” wrappers from Amanda’s Parties To Go’s collection. 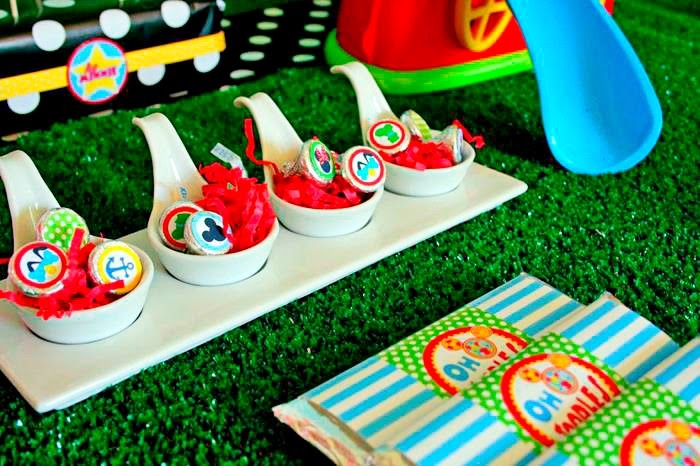 Mini candy bars and Hershey Kisses were “dressed up” in fun labels and wrappers and displayed in serving dishes I already own. 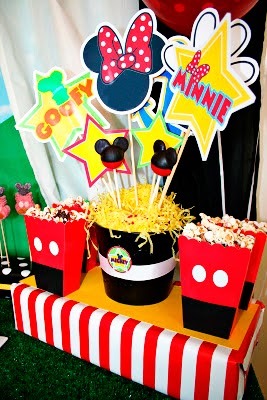 From my party stash, I pulled out some leftover red popcorn boxes and gave them a Mickey update with some scraps of scrapbook paper and an oval paper punch. 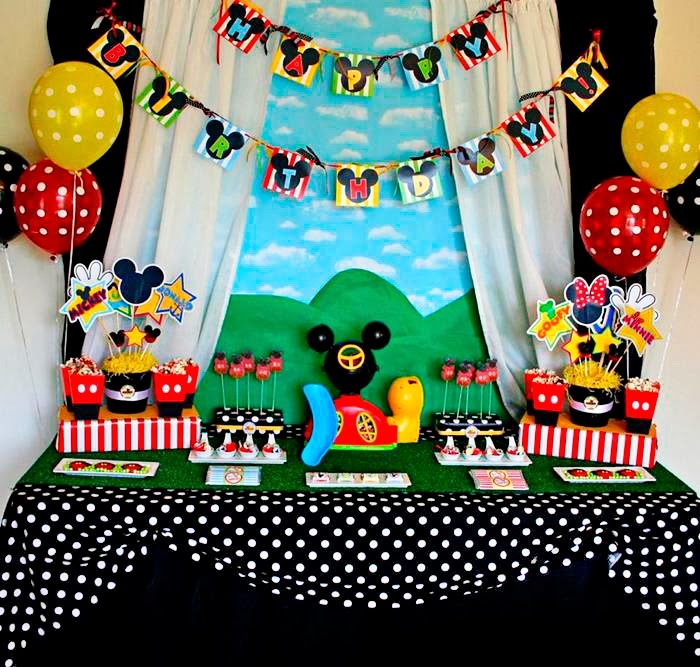 Our tabletop was easy to throw together. 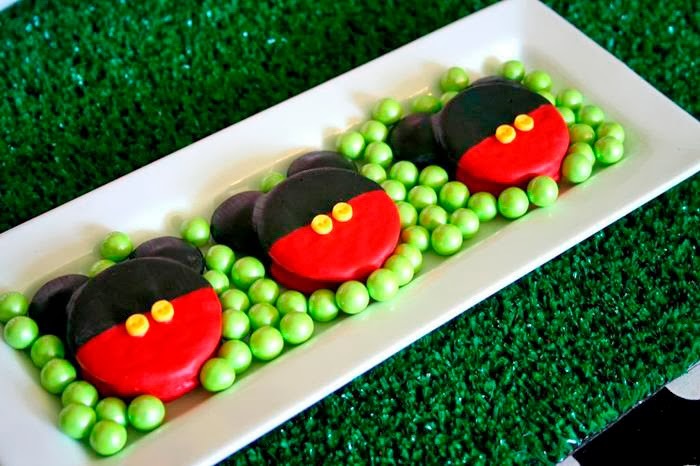 Mickey plates were made by gluing smaller black plates from The Dollar Tree to larger black plates. 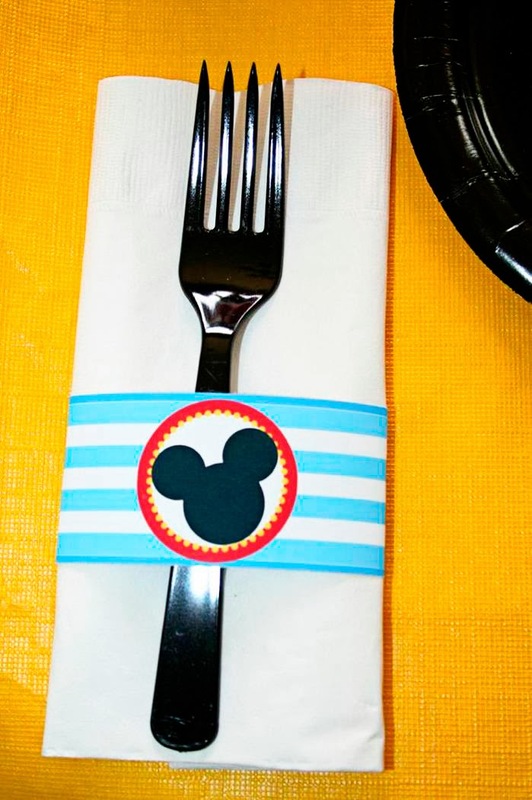 Each place setting included a napkin with a cute coordinating wrap, plus a drink wrapped in a cute Mickey themed beverage wrapper with a fun yellow striped straw and Mickey Mouse topper. 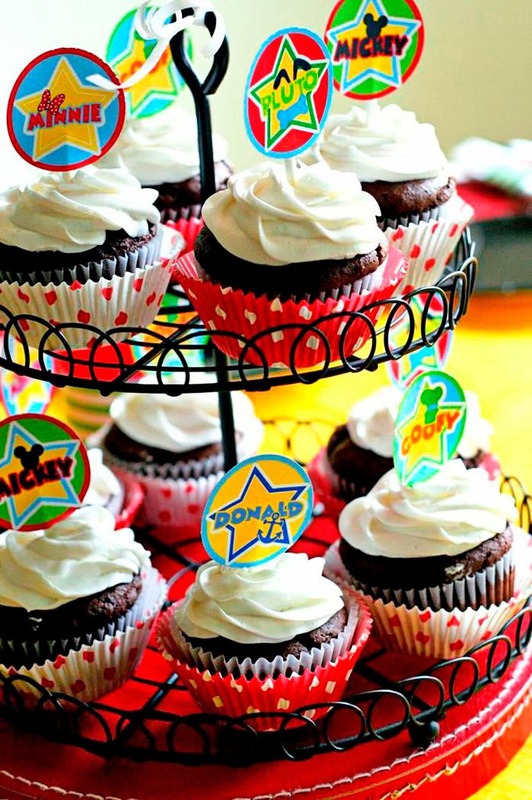 We used homemade cupcakes for our centerpiece embellished with some colorful printable cupcake toppers attached to sucker sticks and bright polka dot cupcake wrappers I had in my stash. 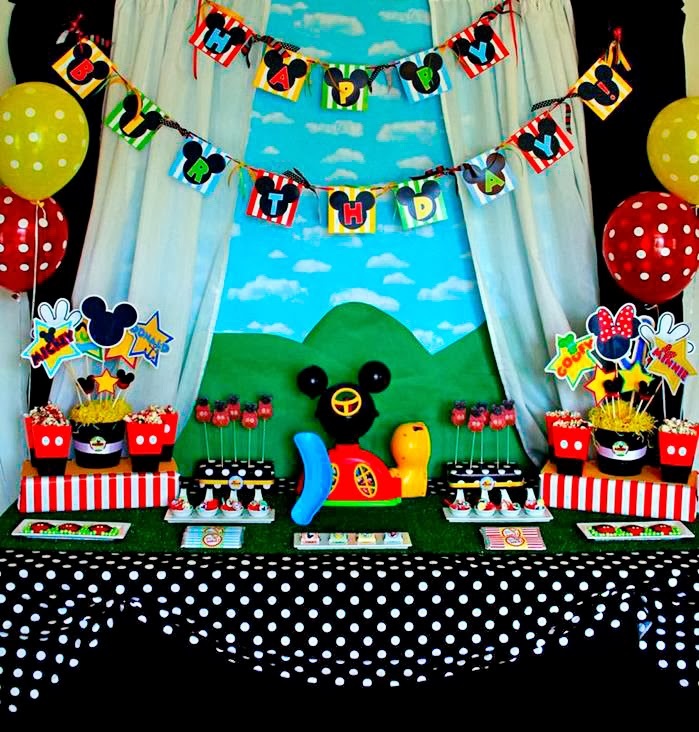 Polka dot balloons helped to tie everything together. 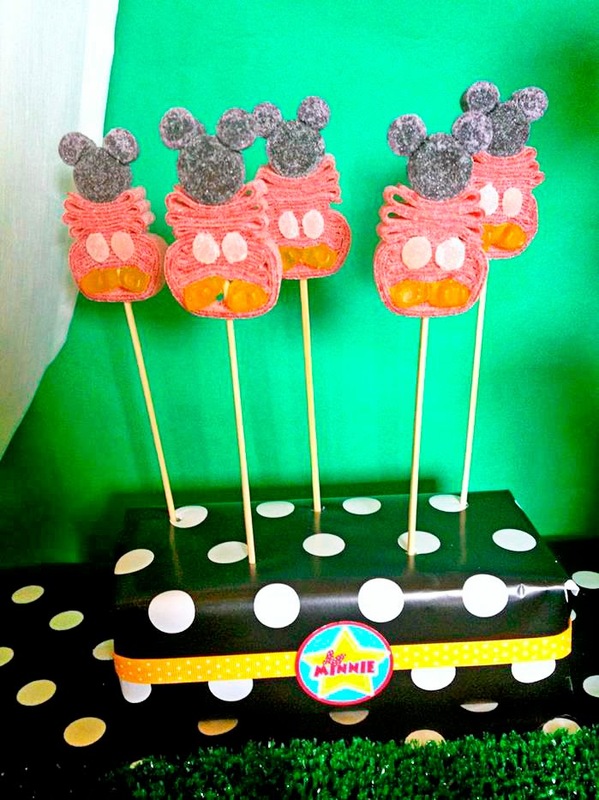 A friend of mine (thank you Kate!) 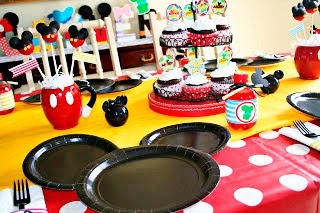 found these darling Mickey Mouse cups at Target last fall. 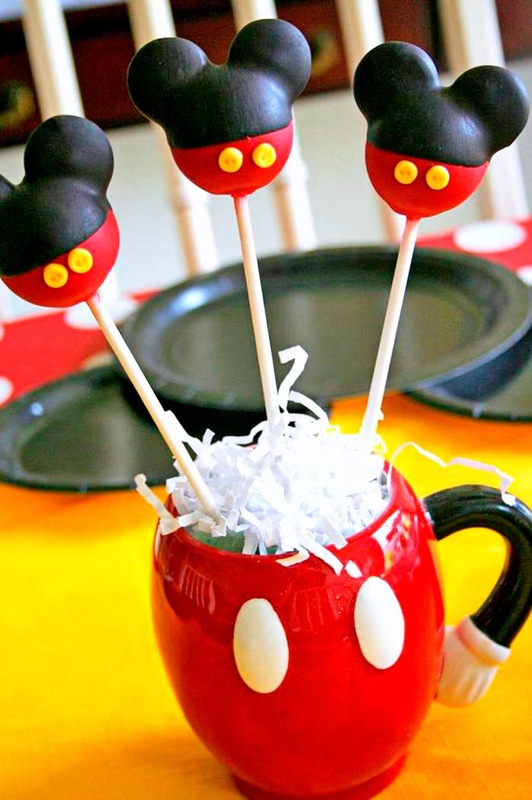 They made the perfect holder for the Mickey cake pops. 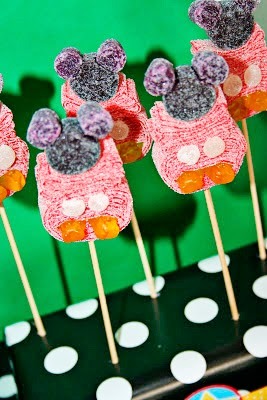 Aren’t they adorable? 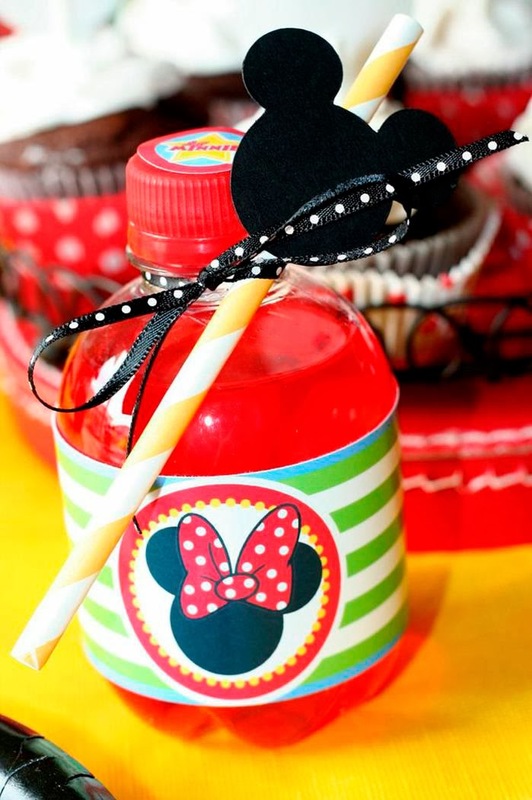 Because there were already so many sweet treats, we kept party favors simple. 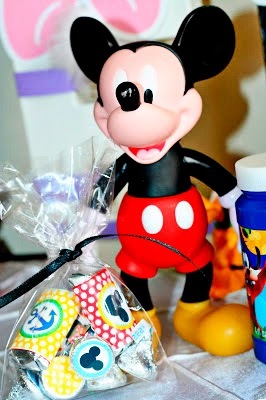 Each guest received a little bag of Mickey Mouse labeled Hershey Kisses to take home and some bubbles to play with in the backyard. 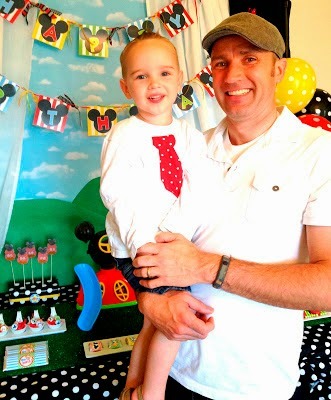 The birthday boy was in heaven!